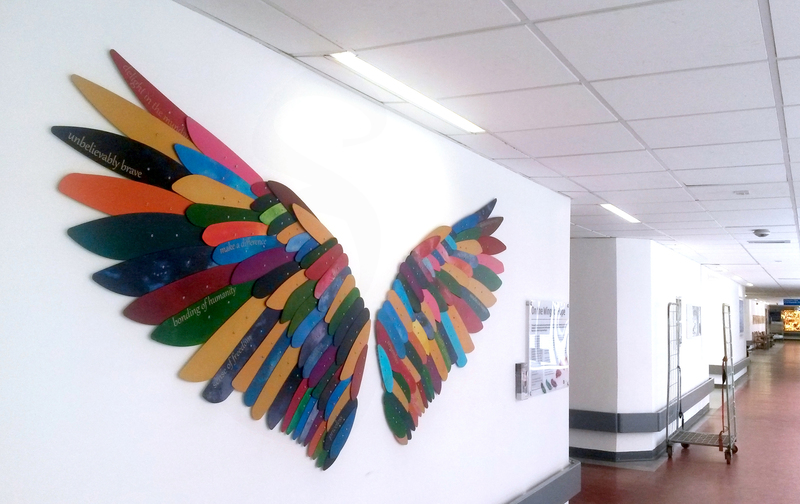 The artwork, set within a main circulation area, acknowledges and thanks the many donors and families who have given the miracle of life. Through my research, talking to recipients of donated organs, clinicians and family members who have donated organs to others I came to understand the intricacies of the transplant process and what many recipients go through along the road to recovery. It is a very tough journey but the results are momentous. 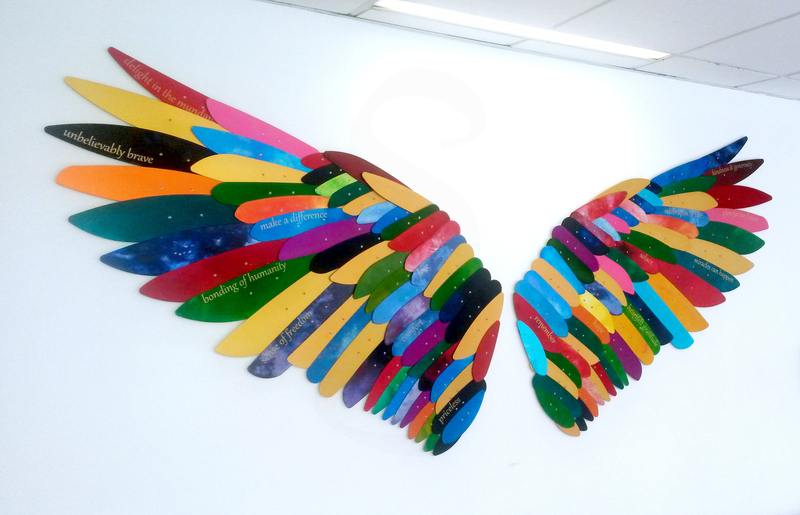 I developed the concept of the outstretched wings, illustrating the journey through the organ transplant process, which is akin to rising from the ‘fire’ of pre-transplant life, like a phoenix and spreading one’s wings as one is set free to live a fuller life. The design is an illustration of the fragile nature of the transplant process, expressed through the delicate form of the feathers. 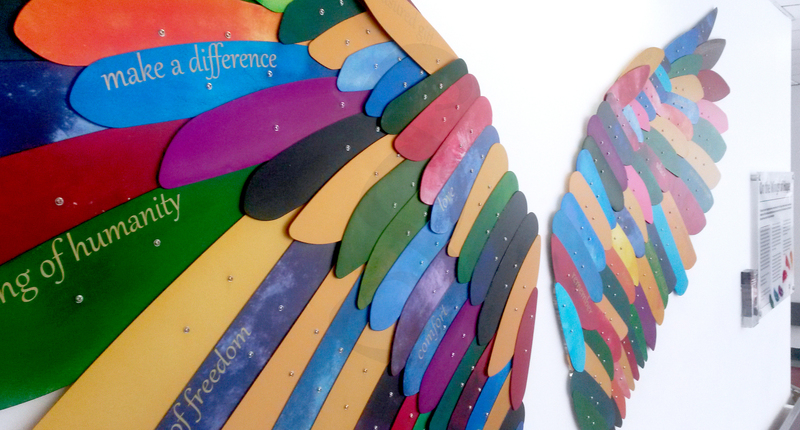 The mix of coloured and golden feathers represents the recipients and the donors respectively. 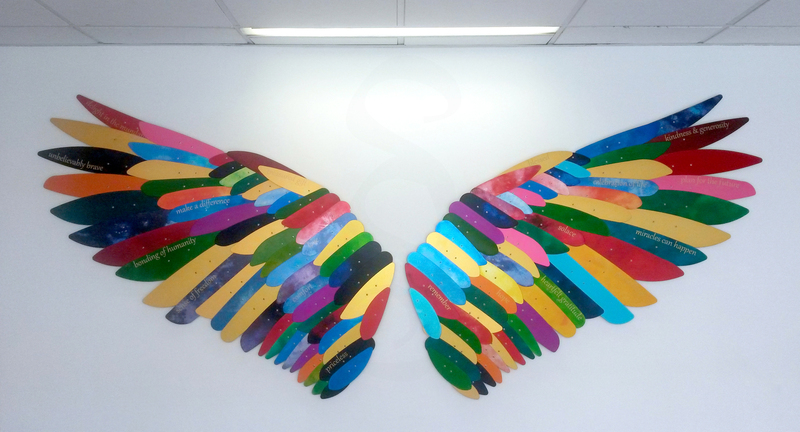 The words and phrases subtly placed on the feathers were collected from letters written by transplant recipients to their donors, highlighting the magnitude of gift given and the success of organ donation.